Each box contains (1) Relic or Autographed Card!! 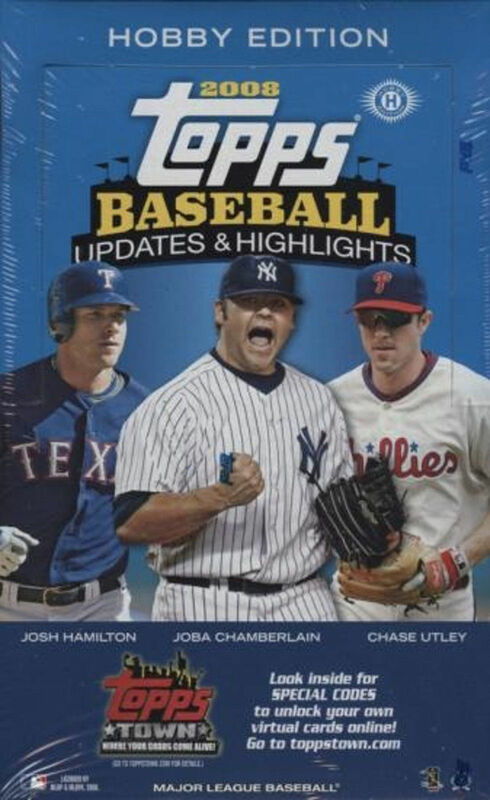 U & H features 197 Traded Players and 45 NEW Rookies not included in '08 Topps Series 1 or 2!! As always, look for an impressive array of Parallels, Game-Used Memorabilia, and Autograph Cards!! Key Rookies: Evan Longoria, Justin Masterson, Jay Bruce, Jed Lowrie, Carlos Gonzalez, Armando Galarraga, Clayton Kershaw, Max Scherzer, Jeff Niemann.